As the world’s population continues to increase, so does the need for sustainable and secure food systems. A new student contest run by UW–Madison advances the idea that long-term solutions in agriculture cannot draw on innovations from only one discipline. On Oct. 3, the university is launching a competition for teams of undergraduate and graduate students across the country to submit proposals and business ideas that address challenges in 21st-century agriculture, such as food scarcity and availability, transportation and sustainability. Called the Agricultural Innovation Prize: Powered by 40 Chances, the competition is administered by UW students through its transdisciplinary, research-driven Wisconsin Institute for Discovery (WID), in cooperation with the U.S. Department of Agriculture. The Howard G. Buffett Foundation is funding the prize, which offers more than $200,000 of support, with the first-place proposal receiving $100,000 — the largest amount to date for an agriculturally focused student competition. The competition is being launched in tandem with the upcoming release of the book 40 Chances: Finding Hope in a Hungry World, by Howard G. Buffett, co-authored with his son Howard W. Buffett, who contributed several chapters to the book, which documents new approaches for combating hunger and poverty in the most difficult places on Earth. “Considering the complexity and scale of agricultural problems in the United States and around the world, I am thrilled that this program will encourage students across the country to come up with solutions they are empowered to implement,” says Howard W. Buffett, trustee of the Howard G. Buffett Foundation. The Ag Prize seeks to not only spur new collaborations, but also to place emphasis on inspiring, educating and nurturing the next generation of agriculture innovators and entrepreneurs. Jahn says she is eager to see how a variety of fields, including mathematics, the social sciences and the health sciences, can contribute to thinking about food systems in innovative ways. The competition is in response to the President’s Council of Advisors on Science and Technology report on Agricultural Preparedness and the United States Agricultural Research Enterprise, where Jahn served as a working group member. 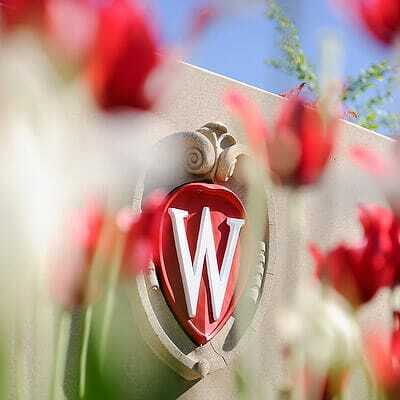 After finalists are selected, teams will be invited to the UW–Madison campus in April 2014 for the final stage of the competition to present their projects and be scored by a high-profile judging panel. Ultimately, the contest reflects the university’s larger commitment to collaborations across disciplines and professions. The contest will run through spring 2014, with a Feb. 28, 2014, deadline to enter.